Hana Kim at the Witzend in LA by Patrick O’Heffernan of Music Friday Live! 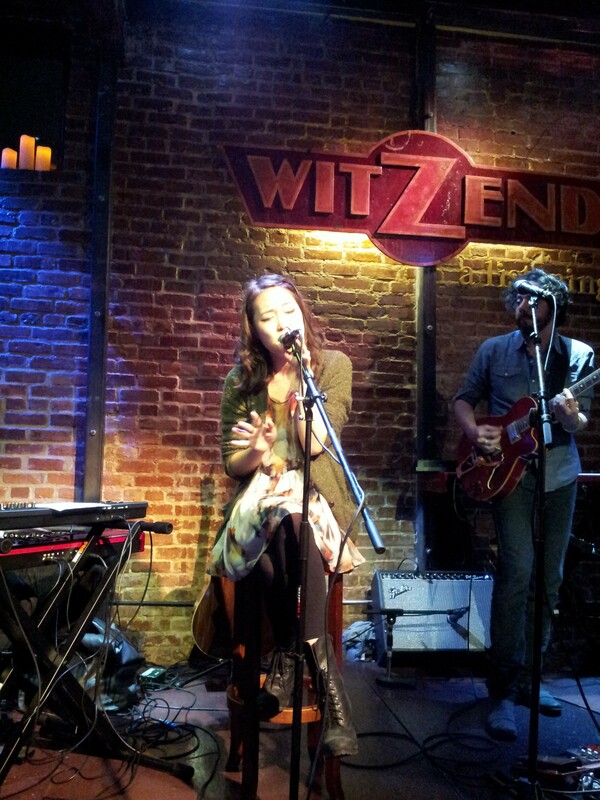 Hana Kim mesmerized a totally packed WitzendLive in Los Angeles Saturday night – even the bar was quiet. 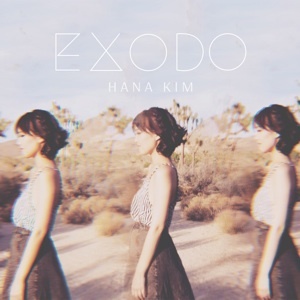 I have had Kim on my radio show, Music Friday Live!, and reviewed her new album, Exodo, which is a kind of minstrel tale of her life and international travels. She has steadily built a following in the very tough market of Los Angeles, releasing two EPS’ a single and now a full album so I was looking forward to the evening. The Witzend is an L.A. gem, a listening room designed with a beyond the state-of-the-art sound system for music lovers and emerging musicians with big futures. A gig at the Witzend is a recognition of Kim’s growing popularity and bountiful talent. I knew that her deep soulful voice would take full advantage of the club’s acoustics and that her deeply personal songs would go over very well with the discerning crowd that comes for only the best in live music. Although she has been playing almost constantly in the LA area for two years, this was the first time I had seen her live and I didn’t know how her sophisticated studio sounds and haunting voice would translate to the stage. I need not have worried. Not only did they translate, but she raised the bar a notch for herself, tweaking the arrangements and adding a depth and power beyond that of the album. Taking the stage almost shyly as she remarked that there is nothing between her and the audience since she was not at the piano. But there was nothing shy about the show she put on for the next hour, taking an adoring audience through 10 songs, eight from her new album, Exodo. If you have heard the album, you know Hana has a haunting, ghostly voice that she can move into blues or rock or jazz feelings at will. Saturday night she displayed that voice and her skill at arranging songs so precisely and intricately that her live performance took her beyond even the standout quality of the album. She opened with “Nothing’s Gonna Change “ in a more rock tempo than the album, but with ethereal guitar effects that immediately told the room that this was something uniquel. When she sang nothing is gonna change my heart, my heart, my heart…” the combination of cut-deep angst and emotional determination delivered with her evocative, soaring voice made the room go almost silent. Moving onto “I’d Do It All Again”, she kicked up the tempo, dove farther into her personal journey and let loose. The energy picked up and flowed both ways — from her to the room and the room to her as she made personal contact with her eyes and visceral contact with her music. Heads bobbed, feet tapped, fingers drummed on tables as she hit the groove and we were captured. Then she magically changed the environment with “Ruins”, a song that plunges deep into her soul as her voice plunged into the husky octaves she can control with precision and use with power. Her bandmates provided a perfect scaffold of solid keyboard streams and on-the-fly ethereal guitar effects, rising as her voice circled through the Witzend’s new $10,000 sound system upgrade. Every note was clear, packed with emotion and flowed from her heart to ours. For me a high point of the night was the next song, “Give It Up”, from the Exodo album. It seemed almost impossible that this young, willowy, Koran-American woman sitting on a stool could fill a room with such stunning power and exquisite sorrow. As she sang …give it up, give it u…, the room seem to expand with her excruciatingly beautiful sound and sadness. Kim brought us down to earth with “Call It Mine”, shifting to a lower blues key and bringing up the tempo, giving us an emotional and physical break. Then she sank back into our viscera with the rhythm and hooks of “Like a King Does”. She gave us another breather with her much lighter hit single “Mexico”, before putting us once again under her spell with ‘Its About Time” and the earth-shaking “The Sun Stands Still”. As the audience exhaled and Kim smiled from the stage, it seemed that she was as sorry as we were that the clock was saying, “just one more song”. She moved to the piano for “Caravan” done with her on the keys and Zachary Ross on the guitar and Ty Bailie handling the keyboard that took it past the version on the album and moved the audience up to an ovation and cries of “more”. A summary has been posted with your URL to send traffic to your site. GET READY FOR A CRAZY BONZO BASH NAMM JAMM 2014!